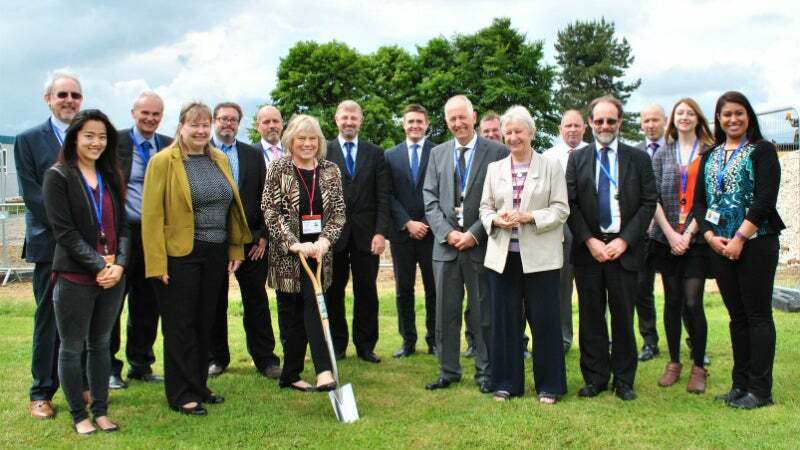 In a ceremony led by Baroness Scott of Bybrook OBE, Porton Biopharma (PBL) has begun construction of a new pharmaceutical development facility, which will provide state-of-the-art facilities for its teams of scientists. The circa 530m2 single story building has been designed to reflect modern best practise in laboratory design and will replace older facilities, which had been well utilised over the years. The new facility will feature a fermentation suite with a range of bench-scale reactors and a down-stream processing suite for activities such as filtration and chromatography, all supported by preparation areas and a plant room. The building will accommodate a team of scientists and technicians dedicated to developing and improving methods used in the pharmaceutical manufacture of Biopharma’s life saving products. New methods, materials, and techniques are constantly being developed to ensure the company keep up-to-date with the latest innovations and industry standards. It is important for the company to maintain its leading position in the field of biopharmaceutical development and manufacture. As well as improving processes and yields for its own products, the facilities will also be used to undertake developmental contract work for our customers wishing to translate research into clinical outcomes. These customers will benefit from the knowledge and experience Porton Biopharma have developed over the years by working on licensed biopharmaceuticals. Commenting on the start of the construction phase, director of development Dr Trevor Marks said: "my team are really looking forward to the completion of this new state-of-the-art facility later in the year and all the new equipment that will be available to help deliver increased benefits for our customers and their future patients". Baroness Scott said: "We are delighted to be able to support Porton Biopharma with the important work that they do and the opportunities this brings to Wiltshire. I look forward to returning to see the new labs when they are up and running."